Having a safe, secure way for your employees to gain access to your building’s rooftop is very important. You want them to get to and from the location quickly, with minimal risk. We work with our sister company, GSM Industrial, to help make it happen with quality, custom-built roof access ladders and platforms. 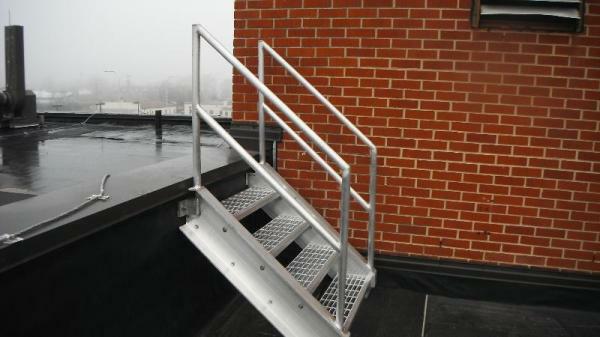 Their expert team will design, fabricate and install an access ladder to meet your specifications. They can accommodate virtually any size or configuration and the finished product will meet or exceed all applicable OSHA standards. Ready to talk about roof access ladders?